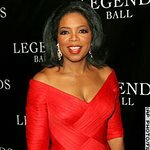 Viewers of Oprah Winfrey's new show, Oprah’s Big Give, on Sunday night got a special surprise when Drew Barrymore announced she is donating $1 million to the United Nations World Food Program. The donation kicks off the World Food Program’s $3 billion “Fill The Cup” campaign that aims to feed 59 million hungry school children in over 80 developing countries for a year. The agency hopes the U.S. will be able to donate enough money to feed 10 million of those children. The Rome-based agency said it needs $500 million more than anticipated this year due to a rise in food and energy prices. A spokesperson for the agency said that last year the organization provided more than 20 million school children with a daily cup of porridge, rice, or beans and also gave many girls a monthly ration to take home to their families. Up to 70 percent of its food used for school meals is bought from farmers in developing countries.